Grab a bottle of wine, or linger a little longer with one you brought from home, at a new bistro and wine store in Fitzroy North. Two Aussies and a Scot walk into a bar. Then, they decided to open one. 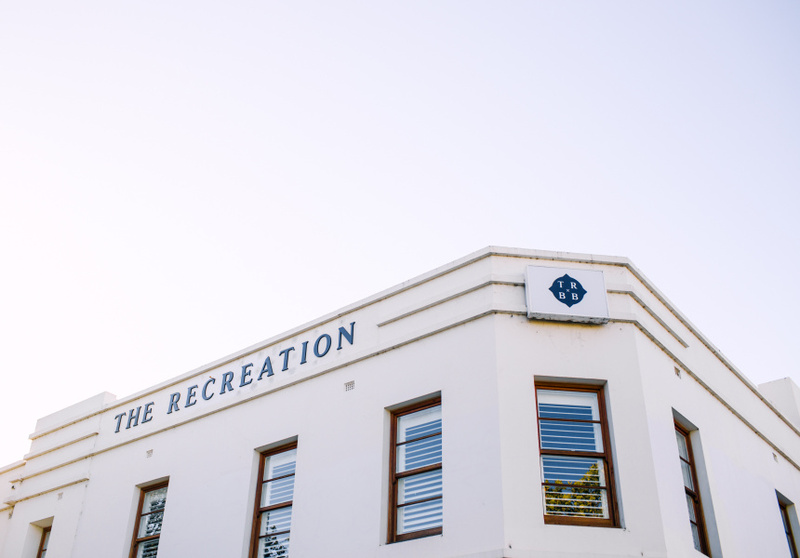 Truth be told, it took more than two years of planning for Steven Nelson, Joe Durrant and Mark Protheroe to open their new bistro and bottle shop, The Recreation, in Fitzroy North. 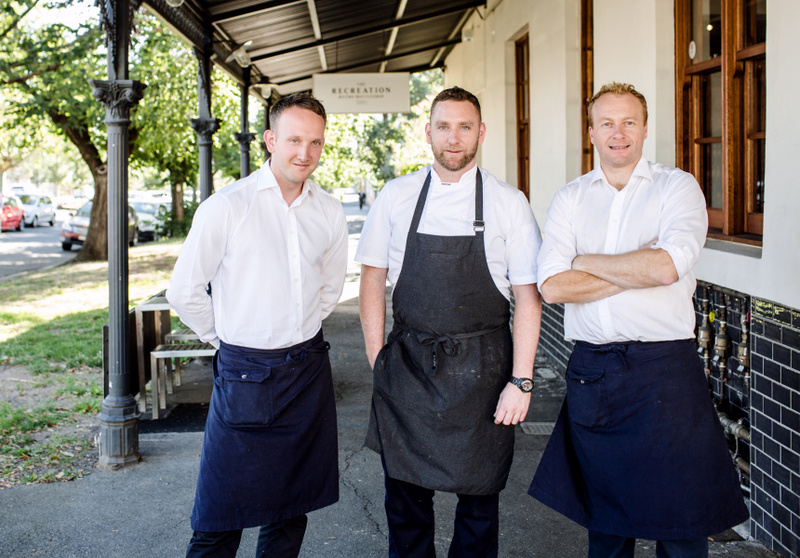 The trio has known each other for a while – Nelson and Durrant worked together in Scotland 10 years ago, while Durrant and Protheroe crossed paths at Grossi Florentino, where Protheroe was an acclaimed sommelier, and Durrant the restaurant manager. 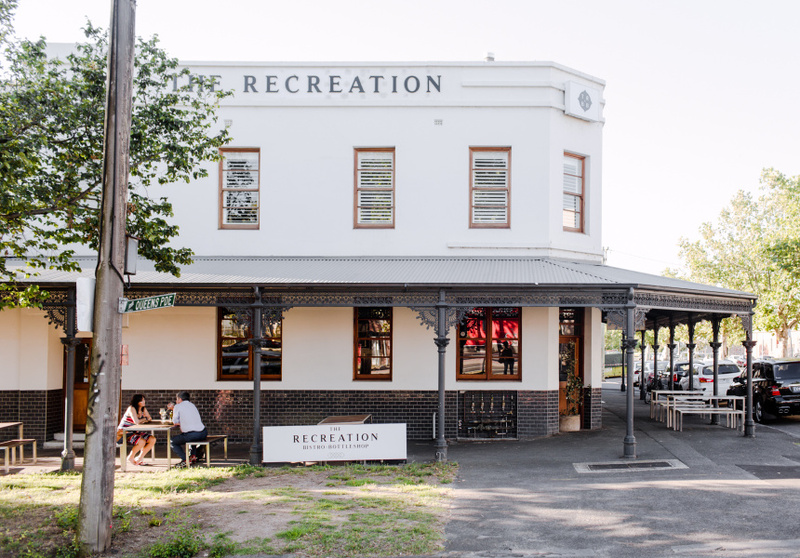 Despite their fine-dining pedigree, they’ve kept it simple with The Recreation – a local bistro with an expansive bottle shop and the option to BYO. “We want to be that business where you can stop in, buy a bottle of wine and take it home, or just stay for a good meal that values substance,” Durrant says. If you don’t fancy any of the Australian, French and Spanish wines available, you can bring your own for a $20 corkage fee. “When you’ve got a special bottle of wine and you want to drink it with something good to eat, it seems crazy for a hospitality business to stand in the way of that,” Durrant says. 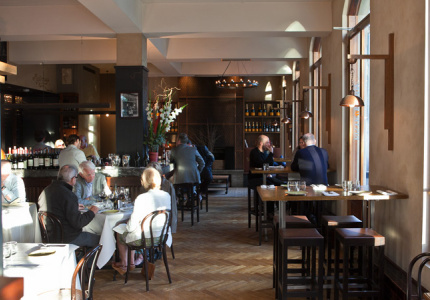 Nelson has previously cooked at Bistro Gitan and Jacques Reymond and some of the dishes tilt French. There’s a Gruyere fondue sauce in a dish with sautéed spätzle and charred broccoli, and pommes mousseline with housemade sausage. Some plates have a broader Mediterranean influence that make use of a custom-made barbeque (think smoked and crispy eggplant and wood grilled calamari) and others feel more South American, including a Spanish mackerel ceviche and flatiron steak with chimichurri. The 1870s building was once home to the Recreation Hotel, and more recently housed Charlie’s Restaurant. The new tenants have retained the original exterior and exposed brick walls inside, and even kept some of the tables and chairs – now sanded back and stained – from the old owners. Adding some contemporary North Fitzroy to the space, two large murals by street artist Shaun Lu feature in the wine room and bistro.